Lock in a great price for Quiet Leaves Surf Stay – rated 9.8 by recent guests! The place is very calm and clean, the rooms are well decorated and the bed was comfortable. The swimming pool was nice and actually bigger and deeper than I expected. The staff and owners are very friendly and helpful. I immensely enjoyed my stay here. Honestly this is the best hotel I stayed at in my life. Do not hesitant to book this hotel, you are guaranteed to have a comfortable and welcoming stay. The bungalows are meticulously clean. If you like surfing, that’s a plus as the beach is 5 min away. Definitely the highlight of my trip. You can also take a bike out and explore the village. Looking at the previous reviews, it is about 10-20 min from the touristy areas, however you can easily get a taxi via gojek. The tourist areas are overrated. Thank you Irene and Adi, the surf instructors, the two young men who served me breakfast and special thanks to Erna! You guys are living the dream. Very stylish, clean, and comfortable with super kind and welcoming staff! Nice pool & hang out place. Very good daily excursions offered including fishing and surfing. Featuring a garden, Quiet Leaves Surf Stay offers accommodations in Tanah Lot, 3.5 miles from Tanah Lot Temple and 2 miles from Kedungu Beach. Among the various facilities are a terrace and a shared lounge. The hotel features an outdoor swimming pool and free WiFi. All rooms at the hotel come with a seating area. Rooms are complete with a private bathroom equipped with a shower, while certain rooms are contain a patio. All guest rooms will provide guests with a fridge. Guests at Quiet Leaves Surf Stay can enjoy a continental breakfast. You can play pool at the accommodation, and the area is popular for cycling. Ngurah Rai International Airport is 15 miles away. 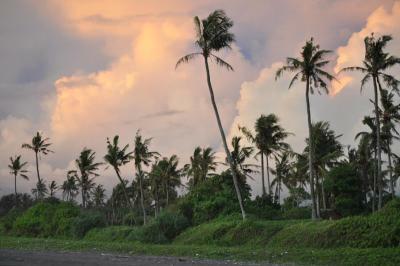 This property also has one of the top-rated locations in Tanah Lot! Guests are happier about it compared to other properties in the area. This property is also rated for the best value in Tanah Lot! Guests are getting more for their money when compared to other properties in this city. When would you like to stay at Quiet Leaves Surf Stay? This double room has a garden view, patio and air conditioning. House Rules Quiet Leaves Surf Stay takes special requests – add in the next step! Please inform Quiet Leaves Surf Stay of your expected arrival time in advance. You can use the Special Requests box when booking, or contact the property directly using the contact details in your confirmation. It’s a little hard to get to the villa specially if it’s your first time there. A bit far from some activity, but hey it’s the price for a quiet stay at quiet leave. .So just great. 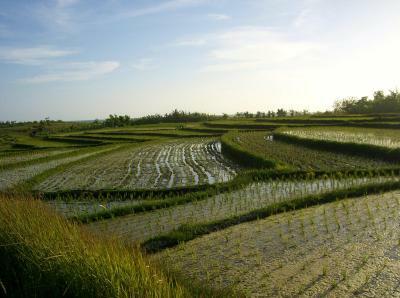 While the place is lovely, it is not in Canggu. Probably best for surfers who want to hit the waves out of the too busy spots or for those who want to be further from the too busy or developed areas. The property was a little difficult to find. Larger signage would be helpful. The rooms are brand new, well designed and tastefully decorated. The outdoor bathroom and garden were lovely. The welcome fruit was delicious. The place is so gorgeous! The owner is super kind and the staff are incredibly lovely. The room is amazing, the breakfast is great, you can book to have a massage in your room, there are free bicycles to use, and the beach is very close by. There is so much that I love about this place! When I come back to Bali, this is definitely where I will stay again. I can't recommend it enough! This is a small family business, and the owners are just adorable and so helpful with everything you might imagine - they even suggested to bring out laundry to a place nearby themselves. Also, surfing lessons are amazing and I would suggest that you take a package of at least 3, better 5 days for best experience. Beach is very close and not crowded at all. Rooms are very clean and beautifully designed, and the pool is warm but somehow nicely cooling at the same time. Would totally book again. Adi, Irene, thank you! !